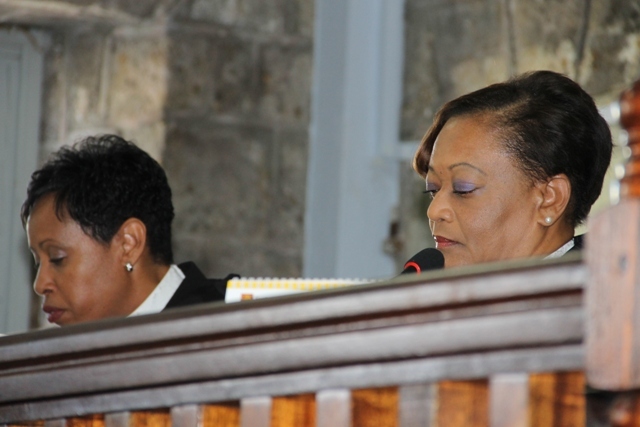 NIA CHARLESTOWN NEVIS (February 12, 2015) — A special sitting at the Nevis High Court was held recently to welcome new Resident Judge her Ladyship the Honourable Justice Lorraine Williams. It followed her appointment by the Eastern Caribbean Supreme Court (ECSC). In attendance at the sitting were Deputy Governor General His Honour Eustace John, Premier of Nevis Hon. Vance Amory, Deputy Premier Hon. Mark Brantley, Ministers of the Nevis Island Administration (NIA), President of the Nevis Island Assembly His Hon. Farrell Smithen and other members of the NIA. Her Ladyship, the Honourable Justice Marlene Carter shared in her opening remarks, that it gave her great pleasure to welcome Justice Lorraine Williams as a permanent member of the Bench of the ECSC. She also mentioned that Justice Lorraine Williams was no stranger to the Federation, since she had served in the Nevis High Court in an acting capacity for a year leading up to her appointment. 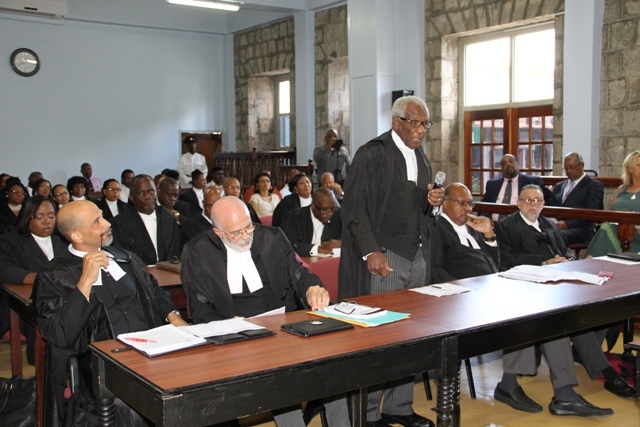 Queen’s Counsel Theodore Hobson was among other members of the St. Kitts and Nevis Bar who welcomed Justice Williams. He congratulated her on her achievements in the jurisdiction before her appointment and relayed a message on behalf of the NIA. “I would like to convey greetings from the Nevis Island Administration specifically the Premier…He has asked me to convey to you, that he is always willing to cooperate, to do anything that is called upon him to make sure that the administration of justice is carried out as smoothly as possible,” he said. In response, Justice Williams pledged to give her best to make herself worthy of the faith placed in her. She also admitted that she was a bit reluctant to have this special sitting but it would have been a missed opportunity to publicly thank everyone for investing their time, their trust, their efforts and their resources.